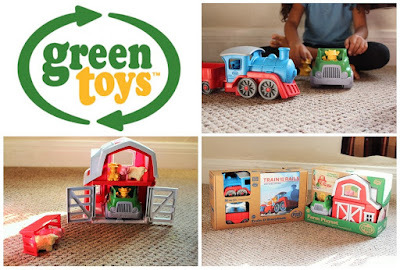 Green Toys, Recycled Toys that Grow With Your Family! We first came to know Green Toys when my oldest, K was gifted the Tea Set when she was about 2yrs old. My family knows how concerned we are with the environment and non toxic toys for the littles, so we were grateful that they chose such a thoughtful toy for her! 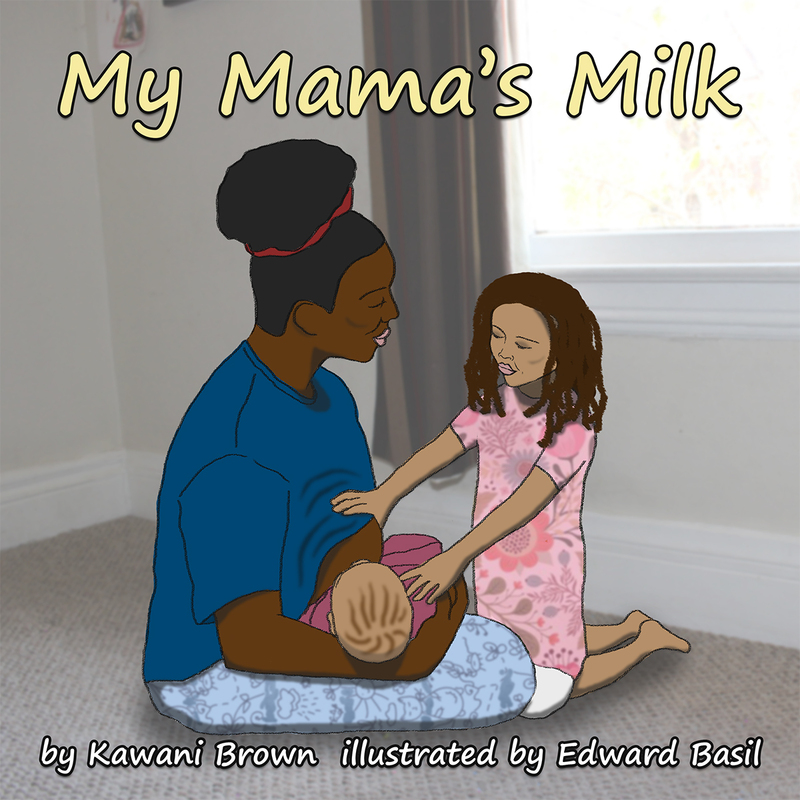 K loved it and as she grows, uses it more and more. 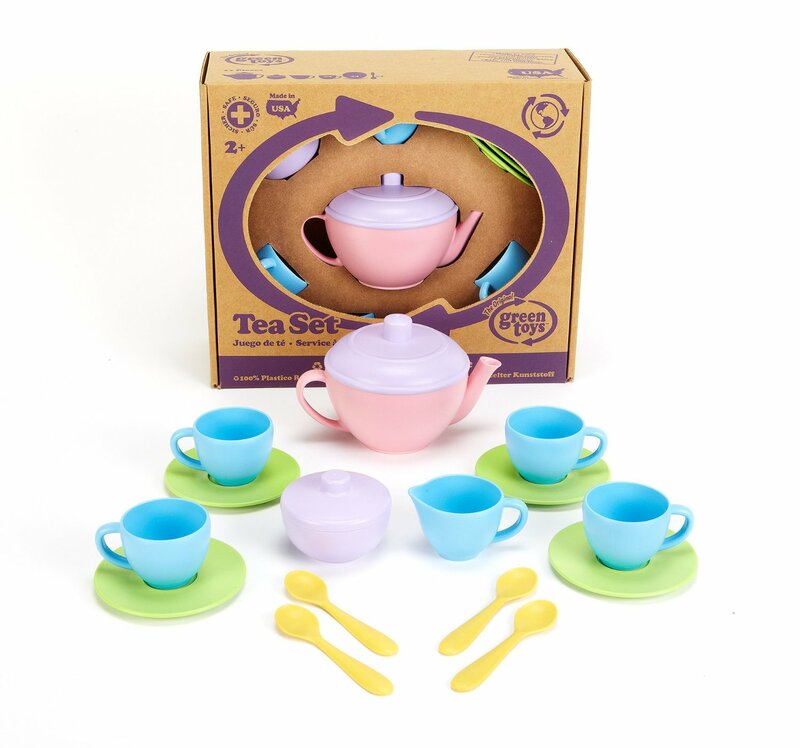 The Tea Set and all of the Kitchen Play toys contain no PVC, BPA or Phthlates, so it's absolutely safe for food and dishwasher safe. We have full on Tea Parties complete with warm tea and snacks! 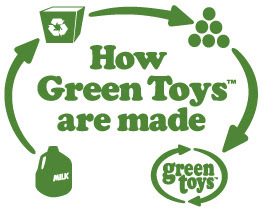 All Green Toys are made 100% from recycled materials and the packaging is 100% recycled cardboard! All the plastic is collected, cleaned, shredded and made into toys right here in the USA! 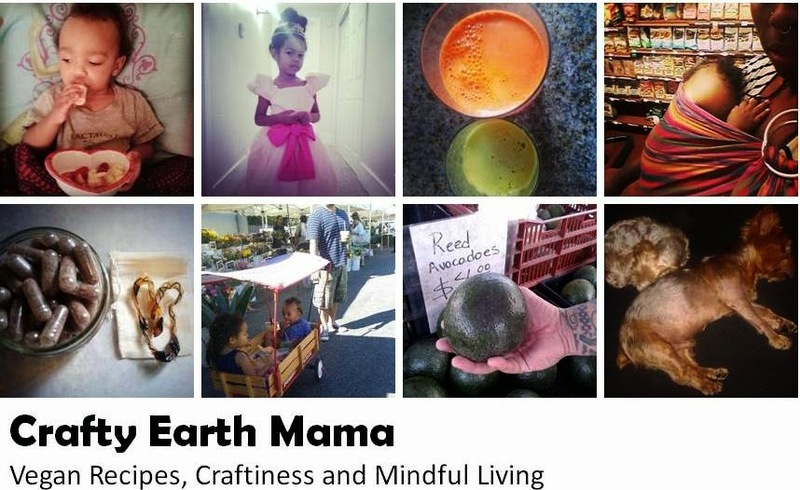 One year after we were introduced to Green Toys, we opened up a Natural Baby and Children Boutique. One of the first lines we decided to stock were Green Toys. Green Toys are our go to for thoughtful gifts for our family and friends and we knew other families would appreciate having them in our store as well. Over the years K and S have added new Green Toys to their collection. The Cookware & Dining Set, Build-a-Bouquet, Dump Truck, Recycling Truck, Mini Vehicle Set and Ferry Boat, to name a few! Not only does it feel great to support a conscious company that cares about our health and environment, but Green Toys really do grow with you. We use them indoors, in the bath and outdoors and have never had an issue. Even though the kids have given them all a beating, they stand the test of time! We were was super excited to see the New Green Toys at ABC Kids Expo this year! They are perfect for Holiday gift giving! The Play Sets really encourage imaginative play and the different sets work well together. Without any suggestions from me, K and S put their sets together to create all kinds of stories and scenarios! It's great to watch! The addition of characters is great in the new toys as well. The Train Storybook Gift Sets come with a hardcover book all packaged up and ready to be gifted! The storybook incorporates the train and the characters it comes with into the story. What's even more fun is that throughout the book are different Green Toys. It was fun for my little ones to spot the toys they had from the book. S immediately got up and started bringing over the different ones he saw to play with them as well! 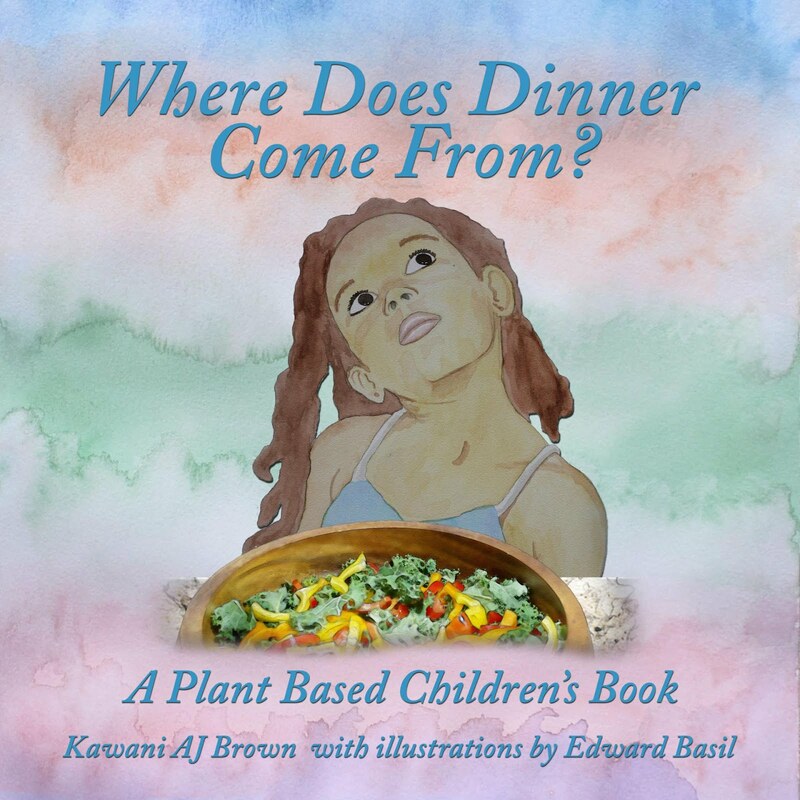 I'll have more from Green Toys in my Eco Holiday Gift Guide! To see what's new and learn more about all the toys, visit GreenToys.com! What's your Green Toys Story? Have you tried them yet, If so, what are your little ones favorites?